What is Sparky’s Robot World? 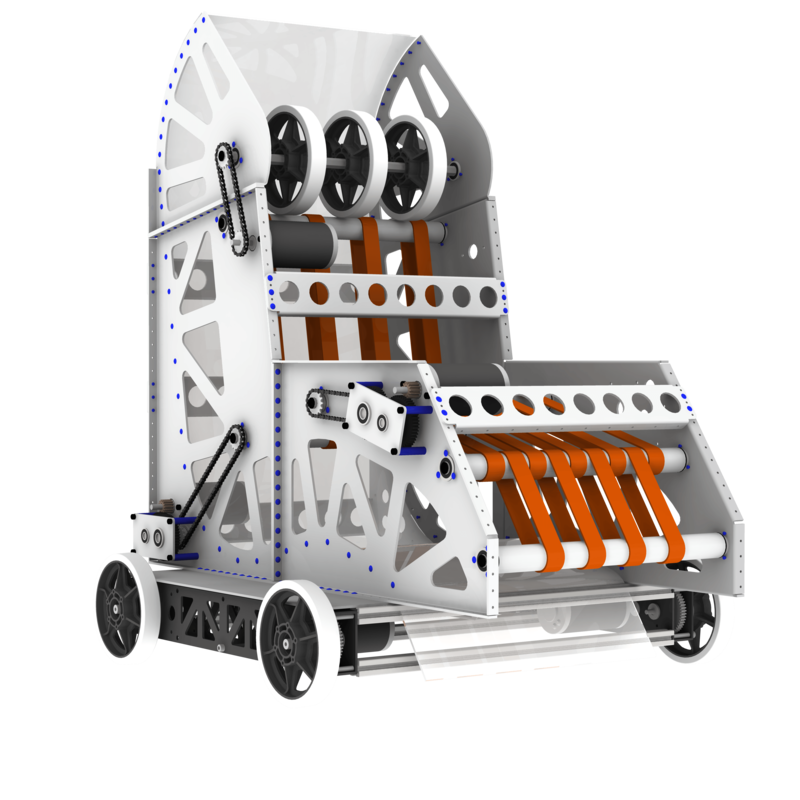 Sparky’s Robot World is a traveling robotics exhibit designed to bring the excitement of science and technology directly to children in their schools and communities. The entire display will be designed for travel and fast set-up. It will fit into a standard trailer and will have multiple set-up configurations depending on the space available. 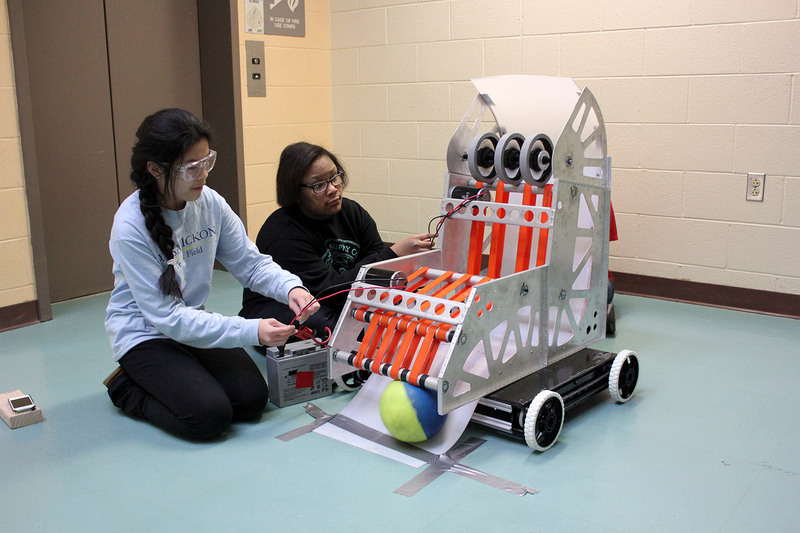 Sparky’s Robot World will spread the excitement for STEM fields to our community, our state, and ultimately our nation. 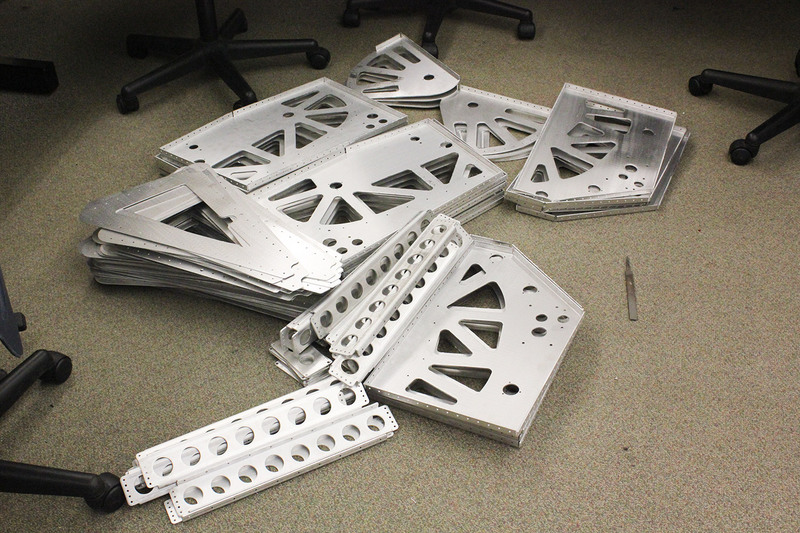 Multiple parts of Sparky’s Robot World are currently in development. 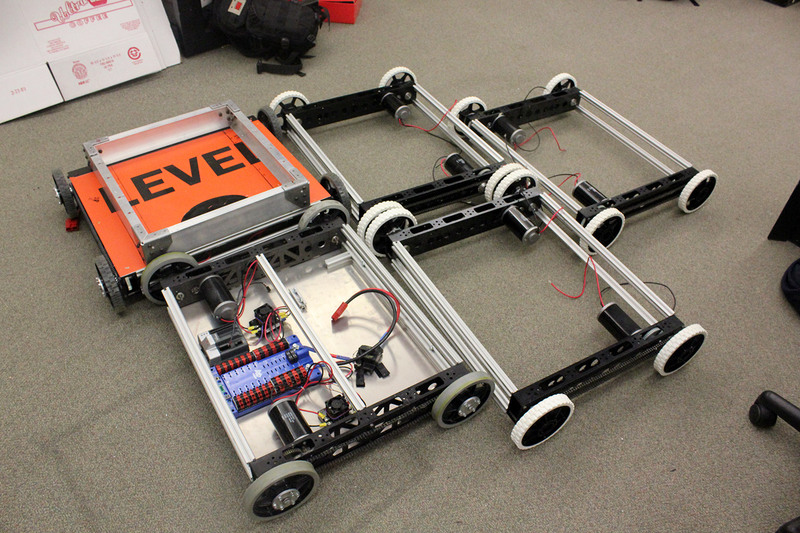 One robot is partially complete and currently being used for testing in our local community. 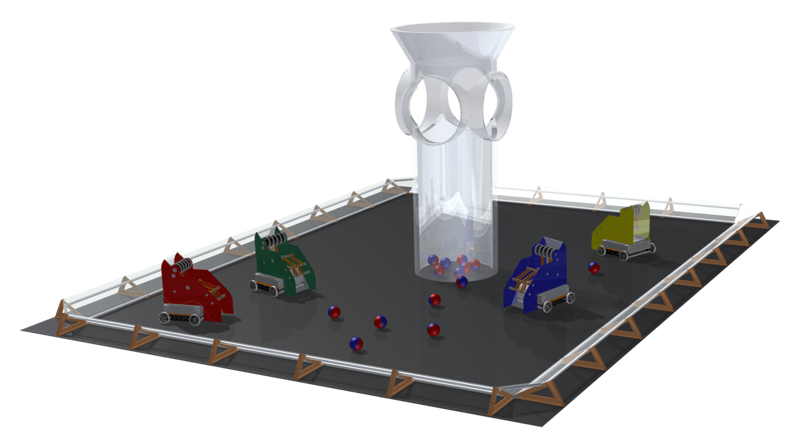 An additional four robots will be starting development in May. 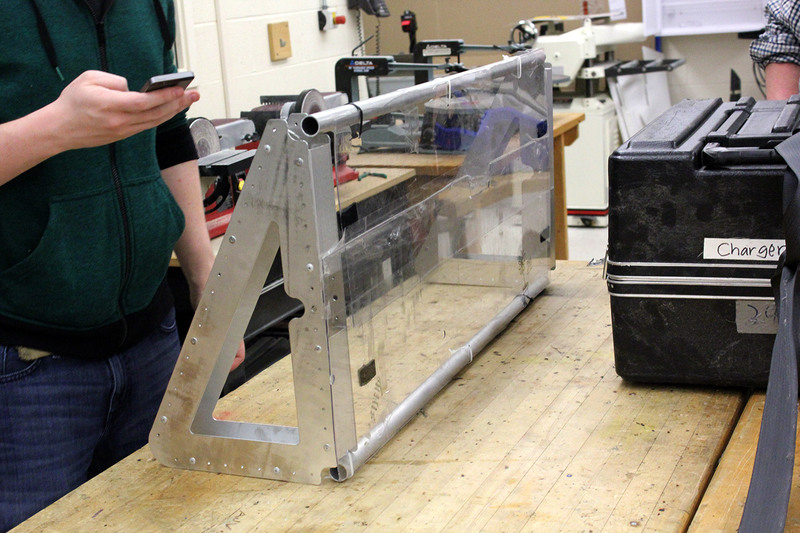 Two learning modules, one on electric motors and the other on pneumatic systems, are currently in development and should be complete by the end of April. Additional videos are planned to be produced over the summer. The whole project, including signage and additional print pieces, should be ready to roll in 2016. 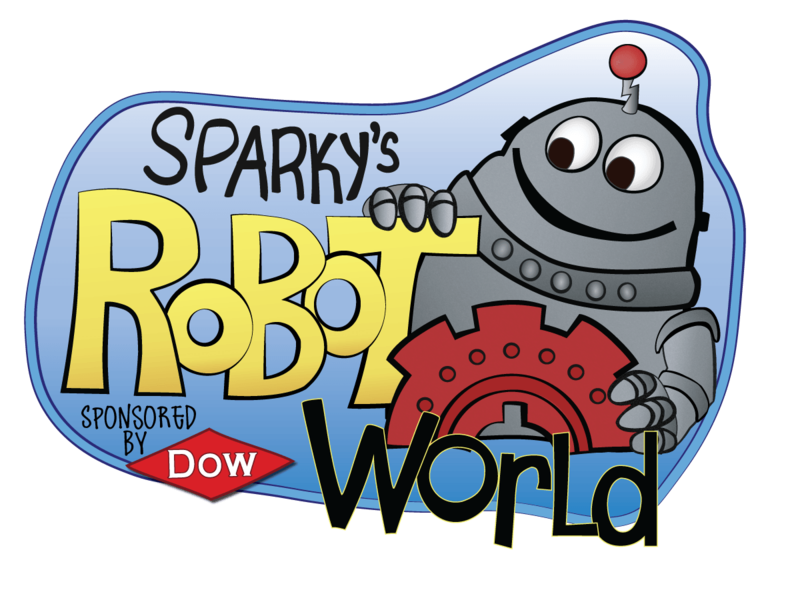 Sparky’s Robot World is financially backed by The Dow Chemical Company, who generously gave our team $30,000 in 2011 to realize this dream. Dow Chemical has been a continual sponsor of our competition team for 12 years. Early robot prototypes were made with wood to figure out exact geometry. 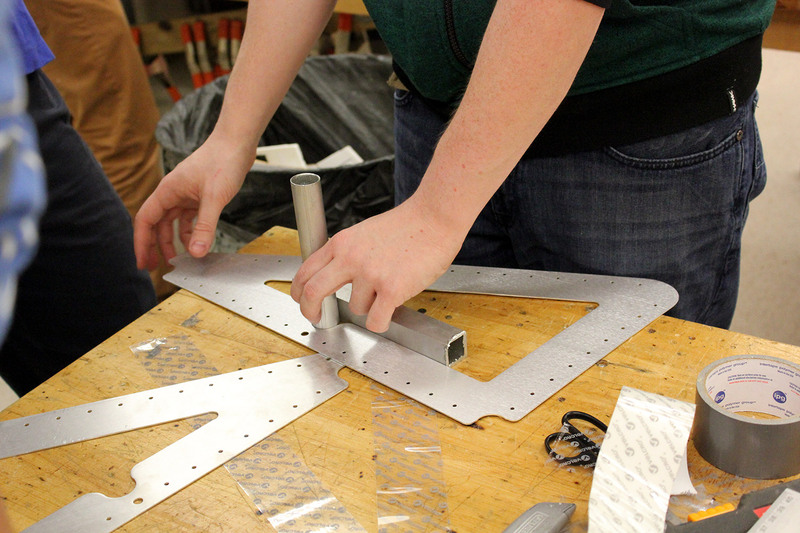 Robots were finalized using CAD software and parts were fabricated at a machine shop. All five robot bases were constructed separately from the top function. 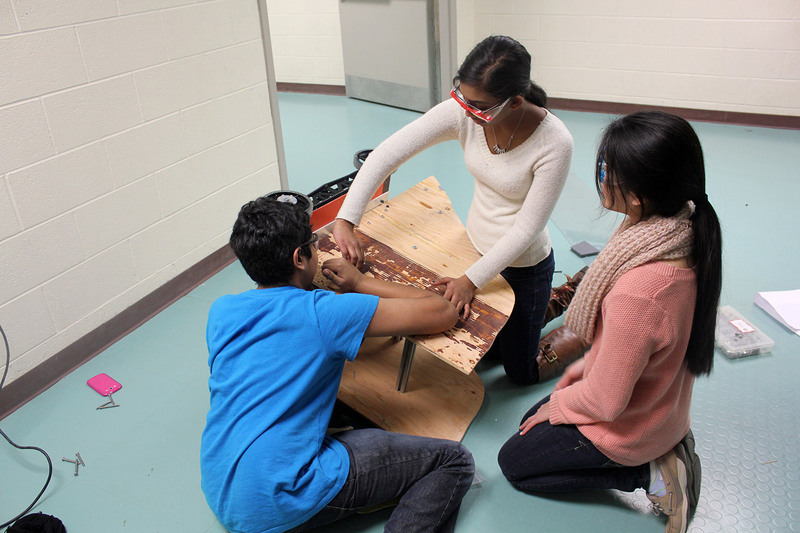 Students work to test the ball path on an almost complete machine. 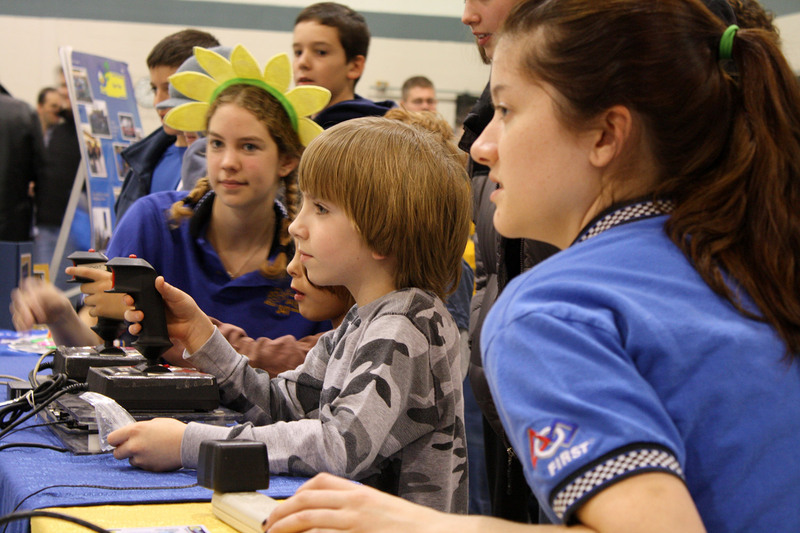 Team 341 has had over 35,000 people drive their robots over the years. 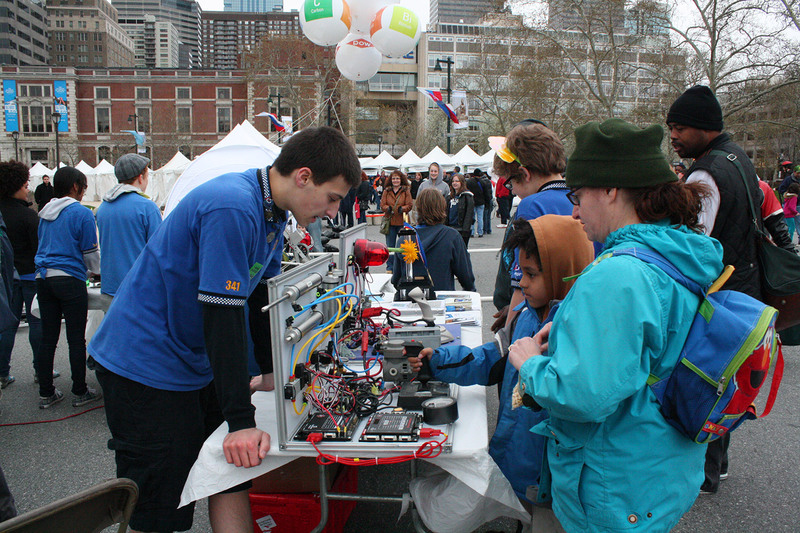 Our demonstration boards teach about electrical and pneumatic systems. 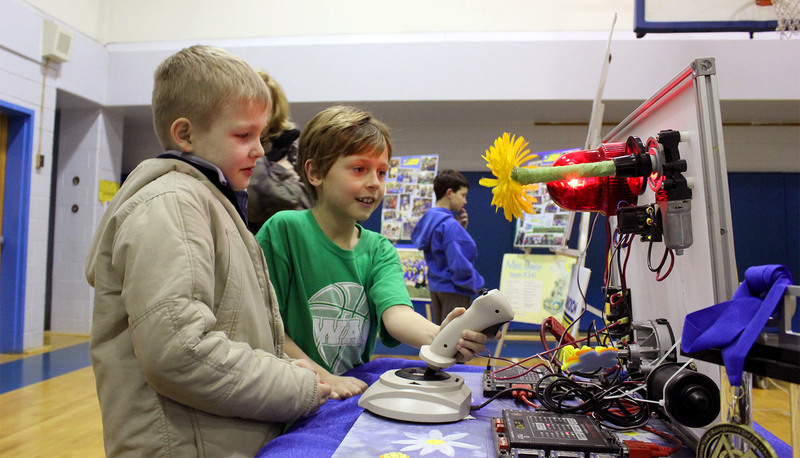 Children enjoy being able to physically make air cylinders and lights move and spin. 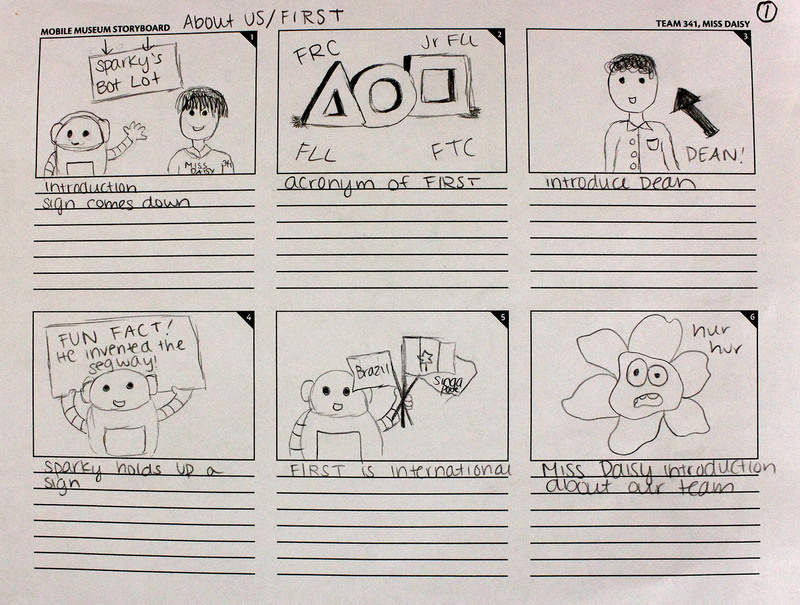 All videos go through a script and storyboard process. 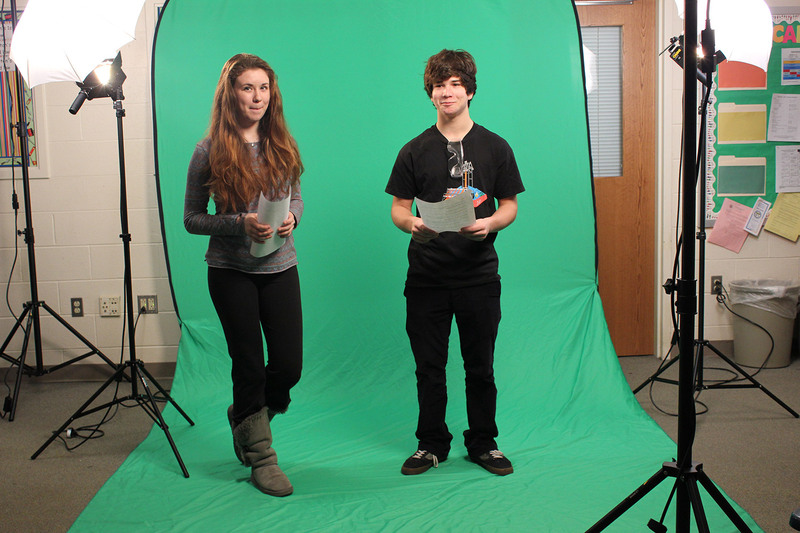 Potential talent auditioned to be in front of the camera. 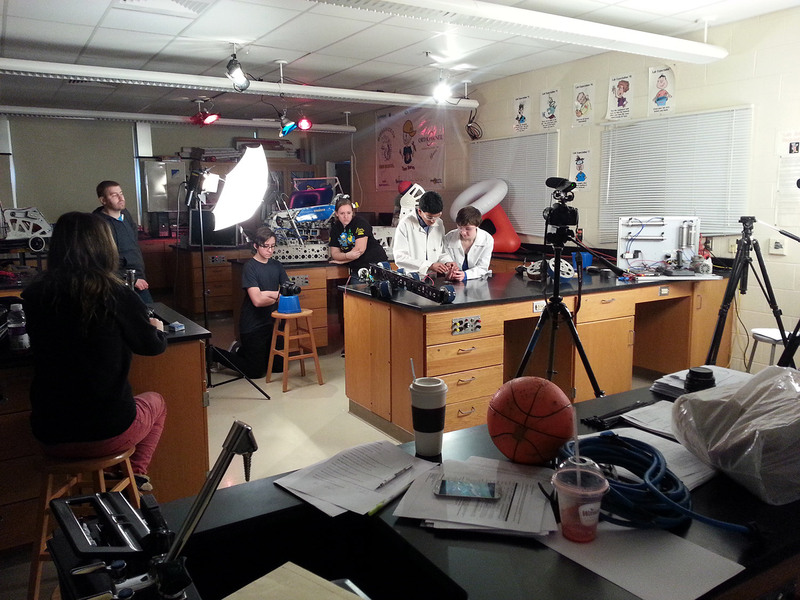 Behind-the-scenes at the setup for the electric motors video. One piece of the field border put together. Assembling the field border pieces.